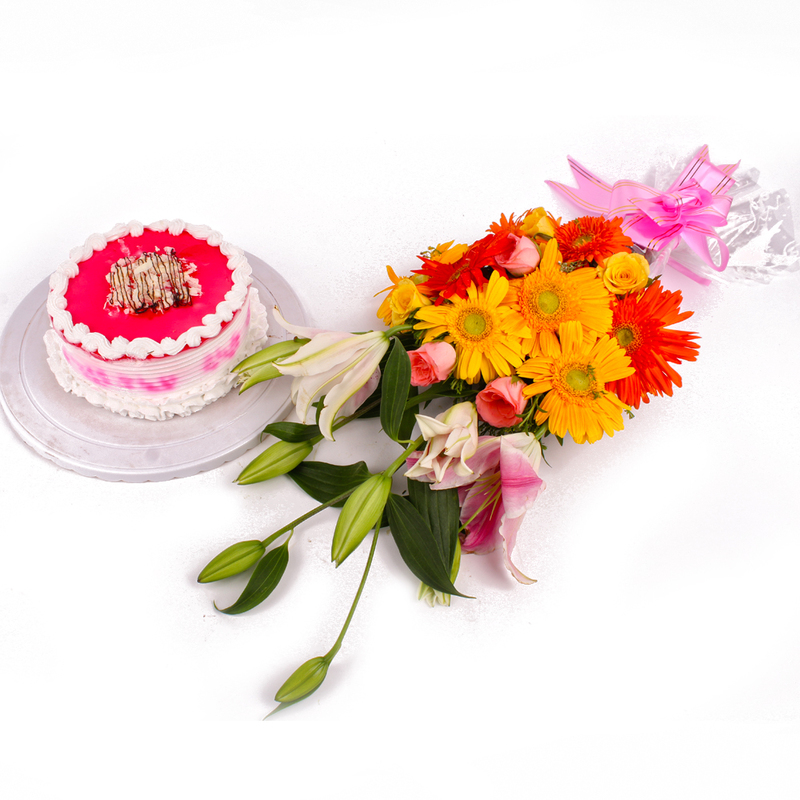 Product Consist : Bouquet of 20 Mix Flowers like Pink Roses, Yellow Roses, Yellow Gerberas, Orange Gerberas, Lilies along with Half kg Strawberry Cake. This is one gift pack which is awesome. There is nothing more special and beautiful as franceful flowers and this pack seems to reinforce this fact quite literally indeed. This pack contains a stylish bouquet of Lilies, Roses, Gerberas that will wow you with relative ease. 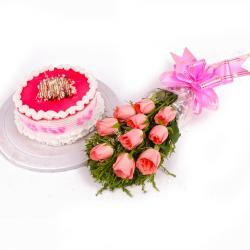 This also teamed yummiest Strawberry Cake are sure to soothe the sense and hearts of all recipients of this gift pack and are packed immaculately packed in cellophane with a matching ribbon bow tied onto the same as well for added effect. You can use this pack for special occasions like Birthday, Anniversary, Good Luck Gifts, Gudi Padwa / Ugadi, Daughters Day and even weddings if you wish. Also send this hamper for your loved ones along with other bewildering Gifts to India through Giftacrossindia and make your dear ones feel special. 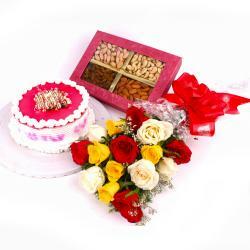 This gift hamper contains : Bouquet of 20 Mix Flowers like Pink Roses, Yellow Roses, Yellow Gerberas, Orange Gerberas, Lilies along with Half kg Strawberry Cake.